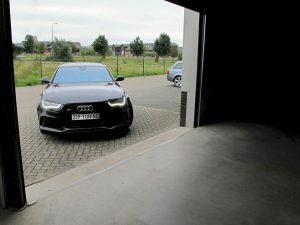 Home » Blog » Audi RS6 Tuning – 730 HP and 1,000 Nm! 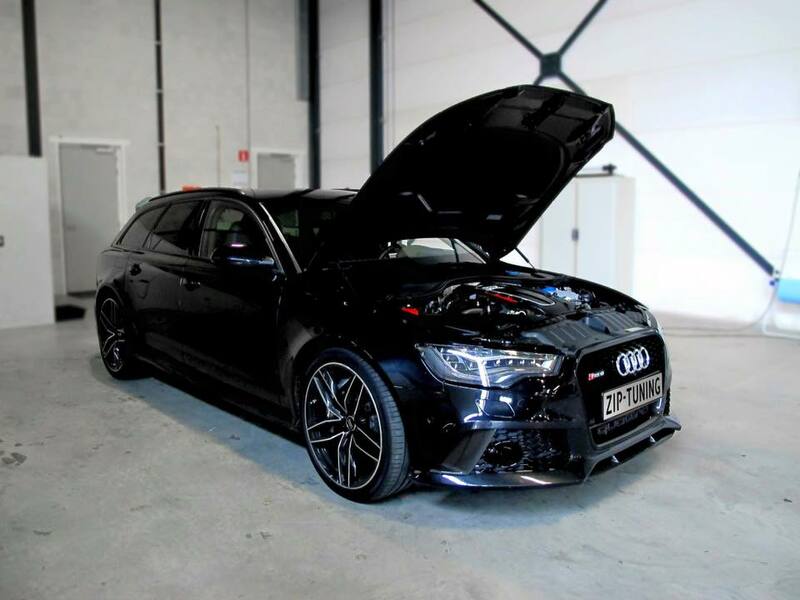 Audi RS6 Tuning – 730 HP and 1,000 Nm! The top version of the Audi’s luxurious family car is called the RS6 and it gives more than enough of a push for most people, providing them with 412 kW (560 hp) and 700 Nm (516 lb-ft) of torque. However, there are those who find this insufficient and they need to turn to special edition models, or tuners. The answer is – tuners. Special edition cars usually cost far more than the standard ones, while a good tuner can give you more power than the special edition for a portion of the price. 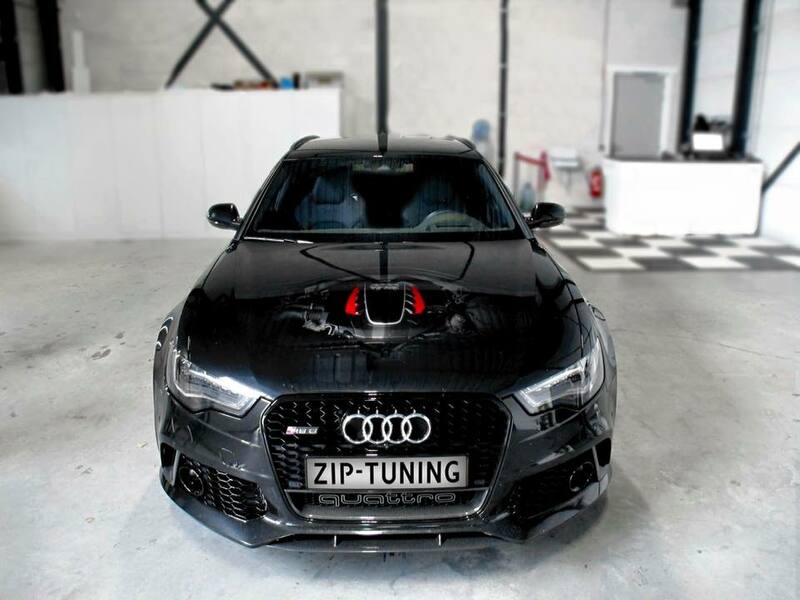 ZIP Tuning is a perfect example of this, if we’re speaking of the Audi RS6 tuning, since their two upgrades for the car bring you 501 kW (682 hp) and 903 Nm of torque (666 lb-ft) and 537 kW (730 hp) and 1000 Nm (738 lb-ft) of torque, respectively. If you are after an estate car, there are loads of roomy, safe, comfortable and sensible options on the market. On the other hand, the top three European manufacturers offer estates with these same advantages, but with an extra perk of being immensely fun to drive. How, you might ask. Twin-turbo V8, that’s how. Audi offers the RS6 4.0 TFSI, Mercedes gives the E63 AMG and BMW has the M5 all of which are offered as estates, all of which feature twin-turbo V8s and 500+ hp. So, standing out from the rest is easy, but how do you stand out among the top three? Ask the guys form ZIP Tuning. Their tuning practices have shown that even the car with the smallest engine of the three (the Audi RS6 has a 4 l engine, the BMW M5 4.4l from the same generation and the Mercedes W212 E63 AMG 5.5) can easily surpass all others. Let’s have a look at the standard RS6 first. It has 412 kW (560 hp) and 700 Nm (516 lb-ft) of torque which allow it to sprint from 0-62 mph in just 3.9 seconds. 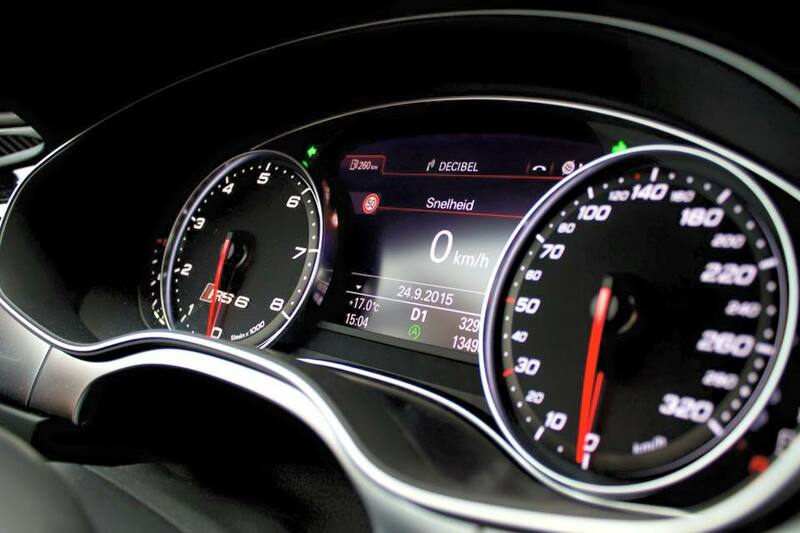 The top speed is limited at 155 mph (250 km/h), but it can be optionally increased to 174 mph (280 km/h) or 190 mph (305 km/h). Cool, right? Well, there’s more. Audi also has a Performance version of the same car (as if the non-Performance one didn’t merit the title) which gives a total of 445 kW (605 hp) and 750 Nm (553 lb-ft) of torque. How much room is there for improvements by the tuners? Apparently, a lot! There are two more stages of upgrade for the Audi RS6 tuning, one of them coming from the ECU tweaks and the other adding some new parts. So, what could they do to the 4.0 TSFI? The Stage 1 RS6 tuning remap is just that. A remap – there are no new parts installed and the engineers from ZIP Tuning have managed to extract more from the existing units by carefully following the original software architecture. The changes start with adding more air to the cylinders by increasing the turbo pressure using tweaks on the OEM ECU Bosch MED17.1.1. More air means more power, but in order to burn all that air, the engine also needs additional amount fuel. This is why ECU is remapped to provide more fuel for the combustion chambers. Lastly, moving the ignition to an earlier stage of a stroke means that the throttle response is improved and the car jumps at the very thought of pressing the pedal. All of these simple, logical and safe tweaks actually give a massive increase in power. After the Stage 1 ZIP Audi RS6 tuning remap the car is already significantly more powerful than the Performance version, boasting 501 kW (682 hp) and 903 Nm (666 lb-ft) of torque. This is a massive boost compared to the stock car with 90 kW (122hp) and 203 Nm (150 lb-ft) more. Now, remember that the stock car was capable of going all the way up to 190 mph (305km/h). This is why removing the top speed limiter from the car is a good idea. 190 mph (305km/h) came from 412 kW (560 hp). 501 kW (682 hp) is sure to push it significantly faster. The Stage 1 already goes far from the less-than-600 hp competitors and even to a lot more than what the 445 kW (605 hp) Performance model offers. However, there is a Stage 2 as well, upping the power even further. The additional boost comes from installing several aftermarket parts which have more capabilities than the stock ones. The first change comes in the form of a new exhaust. There are three options, coming from Akrapovic, Super Sprint, or Milltek. Each of these offers similar level of performance, but unique sounds, so the choice is up to the lucky customer. Next addition is the Alpha Performance air-to-water intercooler which replaces the stock unit cooling the intake air more efficiently. The last perk of the Stage 2 upgrade for the Audi RS6 is the K & N cold air intake and this one, along with the previous two results in 537 kW (730 hp) and a nice, round 1000 Nm (738 lb-ft) of torque, making this estate by far the most powerful one of the top three options on the market and allowing you to stand out from the others with confidence. So, there is actually a stylish car in which you can take your kids to school, drive half of the things in your house on a holiday with you and then smoke a Ferrari 458 when the traffic light turns green. Sensible practicality and utter driving fun, all in one.